The dollar moved lower against most major currencies on Wednesday, with traders booking some profits ahead of the Federal Reserve decision and press conference, which could provide more clarity on the future path of interest rates. The pound jumped after U.K. wage data were seen as adding to the case for a hawkish Bank of England at Thursday’s meeting. The ICE U.S. Dollar Index DXY, +0.23% fell 0.2% to 90.165, easing back from a 0.7% gain on Tuesday. The pound GBPUSD, +0.4357% jumped to $1.4071 from $1.3999 late Tuesday in New York. The euro EURUSD, +0.3513% fetched $1.2280, up from $1.2241 on Tuesday. The greenback also declined against the yen USDJPY, -0.19% , buying ¥106.31 compared with ¥106.53 on Tuesday. 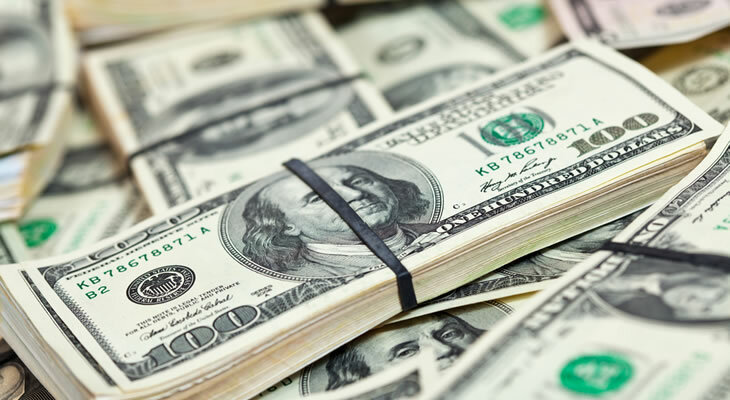 Traders sold dollars after a solid day on Tuesday and largely remained on the sidelines ahead of the Fed’s rate decision and press conference later on Wednesday. The central bank is widely expected to hike rates by 25 basis points, but the key question is whether the “dot plot” and new Fed Chairman Jerome Powell will signal four rate rises in 2018 rather than three as previously signaled. The rate announcement comes out at 2 p.m. Eastern Time, followed by Powell’s press conference at 2:30 p.m. The pound rallied after U.K. data showed wages rose more than expected in January, seen as bolstering the case for a rate rise in May. The Bank of England meets on Thursday and while no changes are expected this time, analysts say the rate-setters could signal a rate hike this spring.